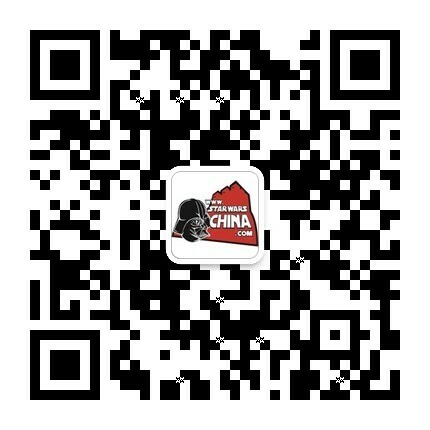 ﻿﻿ 商业行会支援舰（Commerce Guild support ship） - Databank - 星球大战中文网 Star Wars China - Powered by Discuz! 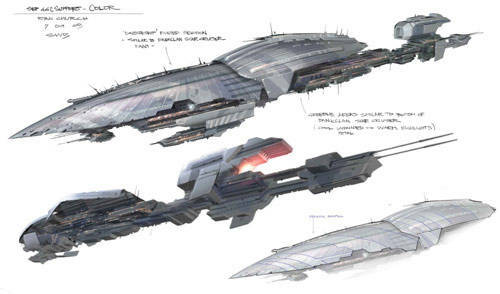 The galaxy's lack of a standing navy served to encourage the creation of sizable private fleets by those entities wealthy enough to forge them: the commerce guilds. When Count Dooku consolidated the leading corporate interests into the Confederacy of Independent Systems, he found at his command an immense war machine ready to spread conflict across the galaxy. The skeletal Commerce Guild support ship was just one of many warships donated to the cause. The hull of the ship seems largely skeletal -- the thin areas of superstructure only support a small habitable volume given that the ship's crew mostly consists of battle droids. The ship can carry up to 40,000 deactivated battle droids in space-optimizing stowed format. 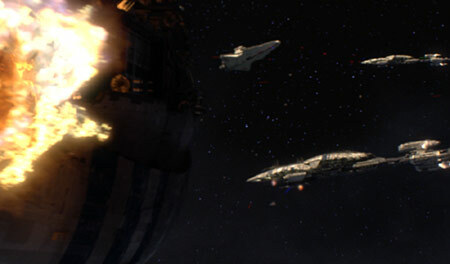 Though the finished space battle would include thousands of capital ships, the central action followed the course of the two Jedi starfighters as they sped through a maze of larger vessels. This combat was mapped with major starships and combat engagements serving as landmarks. Confederacy destroyers were among the ship designs peppering the crowded skies. The Episode III Art Department borrowed from abandoned design concepts first illustrated for Return of the Jedi capital ships used by the Rebellion.